Have you received a certified letter from the North Carolina Board of Law Examiners with a notice of hearing before a panel of the Board or a formal hearing before the full Board? Have you received a letter from the Law Examiners questioning your qualifications for comity admission or about alleged misconduct during the examination? Are you seeking a special accommodation for the examination? If so, you may be uncertain about what to do next, what the Board’s procedures are and what are the possible results. You also may be trying to decide whether, as a law school graduate or licensed attorney in another state, you need representation. Our firm routinely defends, represents and assists applicants like you in panel hearings, formal Board hearings, comity issues, alleged exam misconduct, special accommodations petitions and other issues before the Law Examiners. Defense and representation at the informal stages is significantly less expensive than waiting until later to see if a formal evidentiary hearing results. Also, formal Board hearings typically mean a significant delay in obtaining a final decision and, hopefully, approval. Assistance or representation at the informal stages typically is the most cost effective way to protect the significant investment you have made in obtaining a law degree or a license in another state. Additionally, our firm’s best opportunity to assist you in obtaining a favorable outcome is in these early, informal stages. 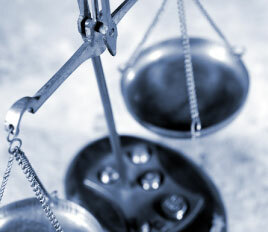 Our firm generally has a three-tiered fee structure for defense, representation or assistance in Law Examiner matters. First, we begin most all matters with a one hour consultation for a fixed fee based on our hourly rates. As part of the consultation, we review the Board’s notice of hearing or other communication, obtain relevant information from you on the issues in the notice of hearing or other communication, explain the Board process, and provide advice and recommendations, including whether you need further assistance or representation. For many informal hearings and other matters, the consultation is sufficient and much less expensive than full representation. Second, we also can provide further assistance in preparing for a panel hearing without attending with you. Third, we regularly attend, represent and defend clients at Board hearings. For panel hearings, we usually can offer a fixed fee so you will know the total cost up front. Our fee structure for Law Examiners matters is designed to provide only the assistance you really need at a price you can afford. By clicking ‘submit’ you understand that no attorney-client relationship will be formed by sending an e-mail and that you should not transmit confidential information. If you are contacting us about potential representation, please limit the initial message to your name, the names of the other persons or entities involved, and a brief description of the type of case or matter. Doug, I was blessed with a great defense team, and your knowledge and experience in Bar proceedings was invaluable.